For the welfare of animals, to safeguard the rights of responsible animal owners. Earlier today, the Indiana Supreme Court said in a 5-0 ruling that the state (with the assistance of HSUS) overreached in seizing and placing 240 dogs over unpaid taxes. On June 2, 2009, Virginia and Kristin Garwood each were ordered to pay $142,367.94 in allegedly unpaid taxes from the sale of puppies at their Mauckport, Ind., farm. When the Garwoods were unable to pay, Indiana State Police and Humane Society volunteers seized 240 dogs from the farm, including the Garwoods’ pets. All the dogs were sold to the Humane Society the next day for $300. Stay tuned — this is an incredibly important ruling, and we’ll be able to release a lot more information on this story next week. A court’s apparent sense of “breedism” has led to an extraordinarily rare legislative pairing. As the fallout continues over a Maryland Court of Appeals ruling that calls pit bulls inherently dangerous, two state delegates on polar opposite sides of the political spectrum are co-sponsoring legislation that would overturn the court’s ruling. This quick turnaround is incredibly important; since last month’s decision, landlords are already telling their pit bull-owning tenants they can’t keep their dogs. This means the loss of beloved family pets, shelters and rescues being overrun with dogs, as well as a financial hit for a state that is already facing economic struggles. When it comes to this legislation, time is of the essence. It appears unlikely that the legislation will receive a serious look from the House of Delegates, however. House Speaker Michael E. Busch, D-Anne Arundel, is not expected to put on the agenda anything more than the state’s fiscal 2013 budget. But that doesn’t mean we shouldn’t at least try. “Unlikely” and “unexpected” doesn’t mean “impossible,” and stranger things have happened. And if enough animal lovers speak up, legislators cannot help but hear. Our sister group, the NAIA Trust, has released an alert on this issue. If you are a Maryland resident and a dog lover, here’s a chance to help make a difference. While the intent is simple and clear, the bill itself has not yet been officially released. However, a copy has been made available through scribd.com. If you are able to make it, there is also a peaceful rally scheduled for tomorrow outside the capital in Annapolis from 2:30 to 4:30pm. Help me grow up in a breed blind world! 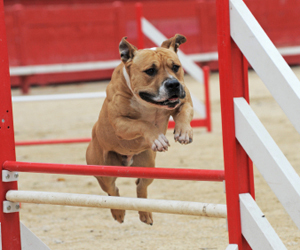 Pit Bull Terriers, American Staffordshire Terriers, Presa Canario, Perro de Presa Canario, Dogo Argentino, Cane Corso, Fila Brasileiro, Tosa (or Tosa Ken) and Ca de Bou. Pet loving customers spoke out — loudly — and a company listened. Just think how this could apply elsewhere! What a great accomplishment for pet owners and their dogs, and also in the larger effort of chipping away at breed discrimination. Way to go! We are so grateful for two recent news investigations describing the insidious underbelly of humane relocation. * While we have been writing about this issue for years,** it is infrequently covered in mainstream news, and rarely with as much detail as in these two investigative reports. 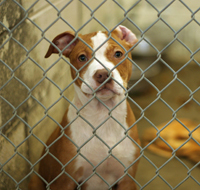 First, in Atlanta, a humane society imports animals for adoption from as far away as the Bahamas, while just down the road, an overflowing municipal shelter kills over 60% of the animals it receives. Granted, definitions of “adoptable pet” vary greatly from person to person, and we accept that, but it is hard to believe none of these animals are fit for adoption. Ironically, this is the exact kind of situation where importation makes perfect sense for a humane society: there are animals in desperate need only a few miles away — just think of all the gas (and more importantly, lives) they could save if they worked locally! Hey guys, I’m from next door. Don’t I deserve a home, too? It may be that the majority of local dogs are older and less attractive to adopters than the ones that can be found out of state, but seeking out the most placeable animals is what you would expect from a pet store, not a humane society. To do its job effectively and honestly, to live up to its mission statement, a humane society must focus on all animals. Even the ones that might not be adopted right away. Especially the ones that might not be adopted right away. In the case of certain northern rescues that import dogs and cats because pet overpopulation isn’t a local issue, you can at least see the logic behind their behavior, even if it would be preferable that they focus on the root of the problem. But why import from out of state — even out of the country — when there is a crisis in your own back yard? Especially given the limited resources available and the stated goal of helping the most animals in the most efficient way possible? And this doesn’t even begin to cover the issues of disease transmission, deception, and heartbreak that come with humane relocation. Fortunately, they were all covered brilliantly in that other expose we mentioned, so we don’t have to here. Unfortunately, these aren’t the only tales of woe from the world of humane relocation. It has been a serious problem for more than a decade; this is why we worked in Massachusetts to help local residents regulate importing rescue groups in 2005, why we created our Shelter Import and Reporting Model Law in 2009, why we supported Connecticut’s rescue importation bill last year, and why we are simply thrilled to see this issue finally being tackled head-on in the mainstream press. 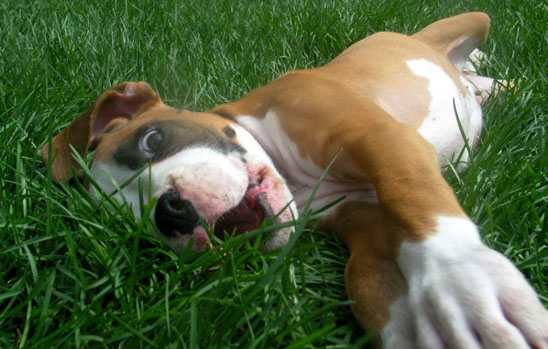 Heartworm Awareness Month: Are Your Pets Protected? Three Cheers for the Supremes! Guest post from NAIA: Three Cheers for the Supremes! | Animal Law Update on Three Cheers for the Supremes! 2019 Legislation Update #5 – Dog Owners of the Granite State on Three Cheers for the Supremes! Copyright © 2012 National Animal Interest Alliance. All rights reserved.